AppOptics combines all the great features of Librato with new, additional functionality including host maps, distributed transaction tracing, 150+ cloud-ready integrations, and affordable pricing. A fully customizable metrics platform. Quickly collect custom infrastructure, application, and business metrics. Our API-first approach means we share all the features. Instant visibility into server and infrastructure performance with real-time dashboards. Get a bird’s-eye view across all your hosts on a single pane. Trace requests through your entire application and infrastructure, across RPC calls, through queues, and more. 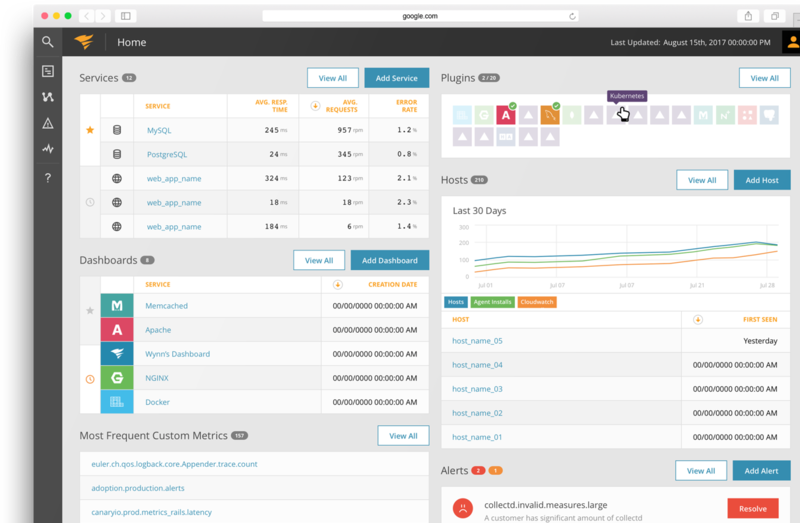 Monitor a broad set of languages and frameworks. From zero visibility to a fully-populated dashboard typically in under five minutes. 150+ cloud-ready integrations. Get data straight from the source—no agents required.